US president Barack Obama has published an another book. This book is for children. 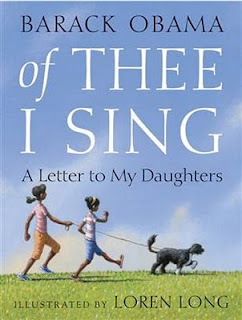 The book title is :Of Thee I Sing: A Letter to My Daughters" And, every word in this book is written by Obama himself. Kids are very excited by this pictures in this book. Amazon has put below description for this book. Barack Obama is the forty-fourth president of the United States. Born in Hawaii to a mother from Kansas and a father from Kenya, he himself is now the father of two daughters, Malia and Sasha. It was spending time with them that inspired him to write Of Thee I Sing. President Obama’s proceeds will be donated to charity. 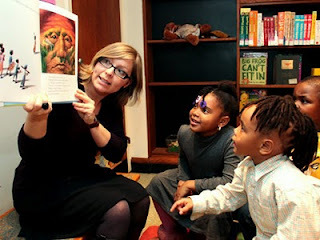 Loren Long is the bestselling and award-winning author and illustrator of many beloved books for children, including Drummer Boy and the New York Times bestseller Otis. Born in Missouri and raised in Lexington, Kentucky, he is also the illustrator of Watty Piper’s The Little Engine That Could, as well as Toy Boat, I Dream of Trains, and Wind Flyers. He lives in Ohio with his wife, Tracy, their two sons, Griffith and Graham, and their dogs, Elle and Moon. The cover "Of Thee I Sing" is a whimsical drawing of his daughters Malia and Sasha, skipping along with Bo, their beloved dog. Obama actually wrote "Of Thee I Sing" in 2008, after he was elected but before taking office. Obama joins a long list of famous people who have written children's books: Madonna, John Travolta, Katie Couric, Will Smith. Paul McCartney, Whoopi Goldberg, Jamie Lee Curtis, Jay Leno. Jerry Seinfeld, Steve Martin, John Lithgow. Obama is donating his proceeds to a scholarship fund for children of disabled and fallen soldiers administered by the Fisher House Foundation. The 40-page Of Thee I Sing: A Letter to My Daughters with a list price of $17.99, is part of a $1.9 million, three-book deal with Random House reached in 2004. This book is getting good review comments from the buyers of this book. Find below some of them. And, if you have already read this book, you can share your comments about his book. 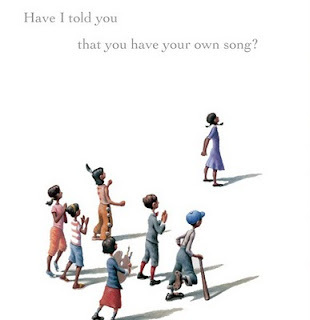 Aimed at young children, Of Thee I Sing: A Letter to My Daughters offers brief glimpses of how the contributions of a single person can touch lives, inspire others and sometimes, change the course of history. Written before he became president, Obama here chooses a baker's dozen Americans to illustrate traits such as courage, creativity and intelligence that he sees in his daughters and encourages young people to find and develop in themselves. Those chosen - including George Washington, Jackie Robinson, Billie Holliday, Cesar Chavez, Helen Keller & Sitting Bull - capture ethnic diversity and include a good balance of men and women. While the text is sparse, the President has a nice turn of phrase and the accompanying artwork by Loren Long is simply wonderful. Best of all, though, is the subject, which offers a great jumping off point for parents to talk to their children, not only about the people profiled, but of their own talents and opportunities and of the importance of contributing to society. I have something of a love affair with cover art and I just want to note that the cover of this book really appeals to me. The image of two young girls (Sasha and Malia Obama with their dog, Bo, but representative of all children) marching along with a spring in their step beautifully conveys an air of optimism and confidence - two things I long to see in all children and that our country could use more of at this time. This letter to the Obama daughters is inspiring for children and adults alike. This children's book is uplifting and unexpectedly informational while paying homage to thirteen icons that helped change and shape this country. The introduction to each great American visionary starts with seemingly simple words, "Have I told you. . . ?". This book is beyond creative, full of love, and well rounded. Of Thee I Sing: A Letter to My Daughters is diverse, promotes equality, and without a doubt has the power to inspire every person with the snippets of courageous, patriotic, and brilliant Americans. Award-winning Loren Long did an amazing job illustrating President Barack Obama's meaningful words. His artwork is simply sensational, and begins with Malia and Sasha standing by themselves when their father first asks, "Have I told you?". As Barack Obama teaches his daughters of a these amazing Americans, the visuals quickly turn into the girls standing with children that reflect the strengths of the American figures previously mentioned. The illustration concept is not only heartwarming but genius, and I found myself excited to view the upcoming pages. Buy it for the artwork, read it for the message, enjoy it for what is is: An inspirational story from a loving father to his beautiful daughters. Please don't politicize this book or its intent, otherwise you'll miss out on an uplifting story that can teach us all some valuable life lessons. I dare you to read it and not be inspired. You can follow @ObamaNewsPoint for getting latest News about Obama.